In a recent interview with Q magazine, Damon Albarn talked about how heroin made him more creative. He started using this drug while a member of Blur and, according to himself, it influenced the lyrics of many of his songs on the album Blur (1997). Damon said that using heroin ‘freed him up’ and made him ‘feel incredibly creative and productive’. He said he was able to keep his addiction under control by taking two days away from the drug every week. Damon admitted that heroin can be an extremely dangerous substance, but said that he longer used it; he also stated that he certainly did not want to be seen as promoting it. There will be many people viewing Damon Albarn’s admissions about heroin as unhelpful. The concerns are that talking up any positive aspects of heroin will encourage more people to use it. This is an understandable concern, but the reality is that hiding the truth about heroin can actually weaken the case against it. The reality is that if there were no initial ‘benefits’ to using the drug, there would be no way that people would ever become hooked. Trying to claim that heroin is only ever evil is like sitting in a room with an elephant and acting as if was not there. We mean that when individuals try heroin and enjoy it, they can easily dismiss all of the warnings they have heard about it as lies. The actual dangers of heroin use provide compelling reasons not to use this substance, and there is no need to exaggerate these dangers or minimise the positive effects of this drug. There are probably many people who felt more creative after taking heroin – just like lots of people feel more sociable after drinking alcohol. There is no denying that such benefits exist, but it is the cost of these benefits that is the real issue here. Addicts like to describe how their favourite drug initially seemed to give them wings, but then it took away the sky. Heroin may give individuals an initial creativity boost, but it eventually steals everything of value from their life – including their creativity. Heroin may be able to trigger a period of creativity, but so can exercise, walking in nature, reading the right book, or looking at a sunset. It isn’t that this drug magically turns an uncreative person into a creative one – it just changes their way of looking at the world because it is new and moves the brain in a different direction. This creativity trigger comes with a heavy price though, and there is no need to take such a risk. If people want to be more creative and productive, there are much safer and better options, such as meditation or mountain climbing. 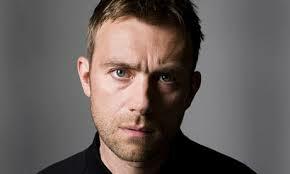 It is also important to keep in mind that the work Damon Albarn tends to be most admired for was created before he started using heroin, as well as after giving it up. In the interview that Damon Albarn gives with Q magazine, he makes it clear that he believes heroin is an extremely dangerous drug; he refers to it as a ‘cruel, cruel, thing’. The fact that he has been so successful without out also proves that he did not need it. Heroin has robbed the world of some incredibly talented people, including Jim Morrison, Kurt Cobain, Corey Monteith, Lenny Bruce, Jimi Hendrix, Whitney Huston, River Phoenix, and Philip Seymour Hoffman. The evidence of the dangers of this drug is everywhere, so being truthful about the actual reasons people use the substance should not be viewed as threatening or endorsing.